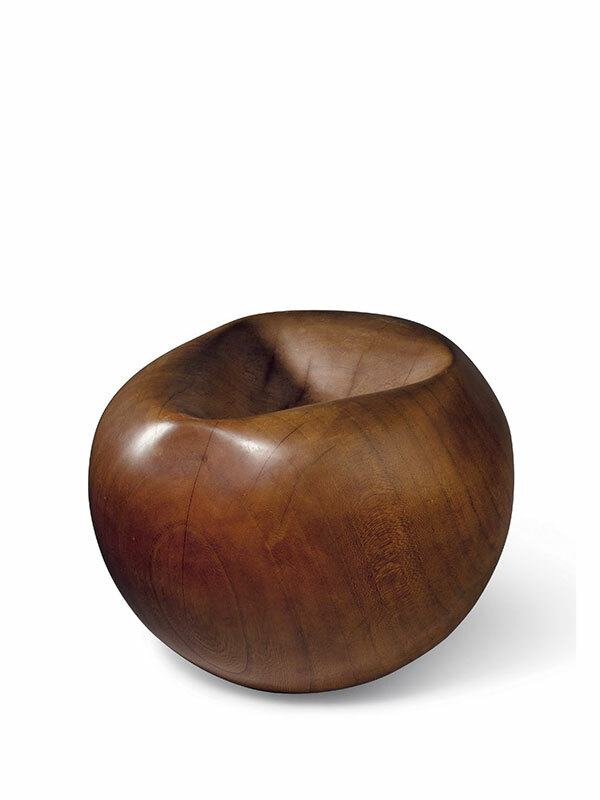 A plain wood bowl of near-spherical form, the cavity at the top formed by a ‘dent’ in the sphere. The base has an indecipherable signature. The wood has an attractive grain structure and a mellow brown patina.